I can't believe I have to go to work today. Seriously, this is like the one day that I need to be at home reading. Why do new releases come out on Tuesday instead of Friday when I want to spend all weekend curled up with a book? I have not just one, but TWO books I've been eagerly awaiting. Patiently.Like a crazy person. One has seriously consumed my thoughts for weeks and I don't know how I slept last night. 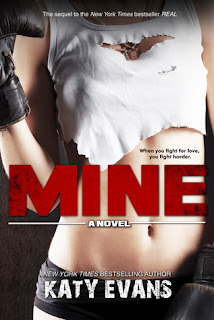 Mine by Katy Evans is set to arrive in my mailbox so I can hold it in my hands and take selfies with it all. day. long! Hmm, for some reason I thought I'd done a crazy obsessive post about Remy in Real (which I've read a few times. It's my happy place.) but apparently I didn't. I'll hopefully be rectifying that after I finish Mine. After I finish Mine, I'll be diving into The Edge of Always by J. A. Redmerski. 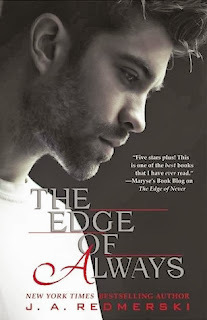 I read The Edge of Never before I went to Book Bash back in June, and I remember thinking this day would never come, haha! I've also just bought the Emi Lost & Found Series because it went on sale. I've seen so many good things being said about this series and if you hurry you might be able to get it for $3.99 too! Since I'm not a reviewer, don't expect much to be said about these books, but as always you can and should follow me on Goodreads! What's on your TBR (to be read) list?! I will have to check them both out, love a good book or series! Adding you on Goodreads. Hi, Heather! Thanks for buying my books! I hope you enjoy them!